The Good News in one verse. The Gospel message of God’s redeeming love for all humanity is recorded in this single verse. The whos, the whats, and the whys of the Good News are right there in three, concise groups. The first group: Jesus (who) gave his life (what) for our sins (why). The second: just as God our Father (who) planned (what), in order to rescue (why). And finally: us (who) from (what) this evil world in which we live (why). There can be no argument that our world is fallen and evil. Not only can folks be inconsiderate and mean, at times folks can be utterly evil and terribly wicked. Human inhumanity to others is appalling. The Bible calls such evil sin. All of us, though we may not be so terribly evil or wicked, are sinners. We’ve all broken God’s laws. We can’t even meet our own standards of morality. We certainly can’t meet God’s measure of righteous perfection. We are all sinners and our world is evil as a result of our sins. Such sinfulness is exactly why we need to be rescued. We are so sinful, so imperfect, so broken that we can not by any means save ourselves. We need a Savior. We need someone with the strength of righteous perfection to save us from our sins. We need Jesus. Jesus, God’s sinless son—who showed his righteous perfection through his countless miracles and his truthful teaching as recorded in the Bible—gave himself to save humanity. He gave himself to save each and every person who has ever lived. Including you. Why? Because we couldn’t do it for ourselves. Why? Because God, in his sovereignty, planned it this way. Why? Because God who created humanity in His image loves us. Why? Because God; He is Sovereign. So here it is: the Good News of God’s amazing love for you in one Bible verse. God loves you no matter what. Jesus died for you because of your what. Will you commit your life to accept Jesus as your personal Lord and Savior? Will you commit your life to be a follower of Jesus? You can do that right now. Voice a simple prayer. If you’ve done that for the first time or if you’re seeking greater understanding, then contact me directly. Tell everyone about your decision. Continue to pray all the time. Read the Bible every day. Attend a Bible teaching local church every week. Find a more mature Christian to meet with regularly for guidance. Feel free to share this post using the tools below. And, please subscribe to receive future posts. Those are the words of a mother spoken to me as it was revealed that a single youth pastor in his twenties had involved her 19 year old daughter in a sexual relationship. I will never forget. The contrite brokenness of the young lady. The controlled rage of her mother. My frantic mental search for the right answer. You see, we’re Southern Baptists. We are not a denomination with hierarchy or the controls or the accountability that may come with it. We are independent and autonomous churches that voluntarily cooperate together for the purpose of missions. We join together in local associations—a county or region of the state—state conventions, and, of course, the national body, the Southern Baptist Convention. We’re only technically a convention when messengers from churches meet together each June. The rest of the year, we entrust leadership of our various agencies to our Executive Committee. The polity is similar on state and local levels. Given our independent but affiliated system with no centralized reporting system, what was I to say to this mother truthfully? “I will do everything I can. I’ll ask others to do everything they can. You have my word,” I replied. “How are we supposed to know?! What about before it happens? !,” I pleaded. Then I used an example he’d know that should frighten any of us, “So a guy leaves a pastorate due to sexual misconduct. He leaves that off his resume. He says all the right things to get hired by a new church. Then he can do it all over again?” I was angry. Grasping. Concerned that—in some ways—our system was worse than the Dallas Catholic Diocese that was in the news at that time for systematically covering up sexual abuse by priests. We weren’t covering it up, but we were not doing enough to create a system to help prevent it. And now, 15 years after the encounters I’ve reported herein, this. Finally someone is calling the Southern Baptist Convention out. Sadly, it had to be a news organization since calls from within have been ineffective. We have some initial response from SBC leaders here and here. Most local churches do background checks now. But what if the person—pastor or prospective volunteer—has moved? What if the background check doesn’t look far enough back or into other states or counties? What if the offense was not illegal, but still immoral and sinful as in the case I reported? It is well past time for the Southern Baptist Convention to establish one simple, shared, well-known, nationwide sexual misconduct database. Publicize it to our churches, let other denominations and non-denominational churches share it too. Any local church would check it before hiring a new staff member or enlisting new volunteers. Sexual misconduct is sin. Sin destroys. That damage is exponential within the church. We must make it harder for known offenders to repeatedly offend. We must change this now. 55%. My friend, J.L., has a heart that is functioning at only 55%. He's the same friend who continually reminds us, "God's got this," but we want to make sure God's got him. We love him and this is worrisome. Besides, imagine what he might be able to do with more than 55%. My friend learned that accurate 55% number through a TEE—Transesophageal Echocardiogram. It's as bad as it sounds—pun intended. As an "echocardiogram," it utilizes a transducer—the end of the black cable above—to send ultrasound waves producing a picture of your heart's composition and function. And the "transesophageal" part? You guessed it. 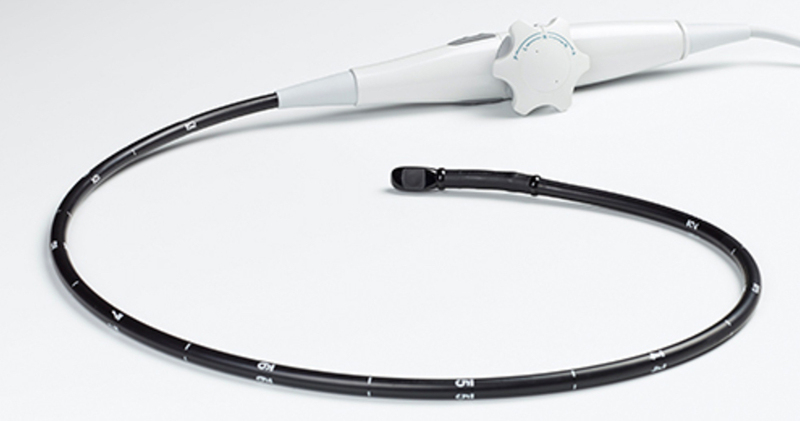 That black cable is down your throat to give doctors the best look at your heart possible. I'll stop there with the cringy details. Know that doctors have scheduled procedures soon to follow in hopes to improve his heart function. We chuckle with J.L. at being a little more than half-hearted, yet that raises a question for Christ followers. Jesus gave us a command about our hearts—our spiritual commitment to him. If there were a spiritual TEE to measure the function of your capacity to love Jesus, how would you score? 55%? Just a little more than half-hearted? Maybe better? Maybe worse?! Take a moment to reflect. Remember what it was like when you first came to faith in Christ; remember the times you felt closest to God. What was different then? Consider what you did or did not do at those times in which you had a greater love for Jesus. What do you need to change now? Ponder what habits or sins may be hindering your spiritual vitality now. What do you need to confess to God and repent from? Thank you for reading, friends. Please share this post with others using the options below. And, if you haven't already, please click here to subscribe.